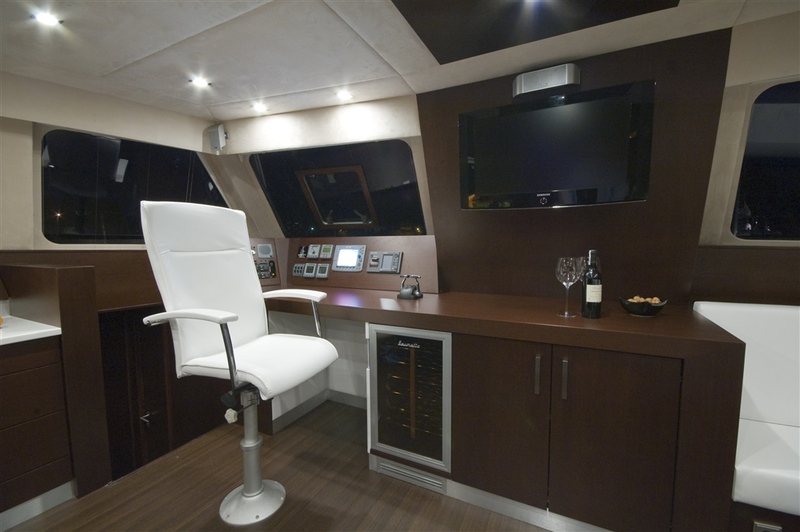 Sailing yacht TURETE is a custom built Sunreef 62 catamaran, built by Sunreef yachts in 2008. 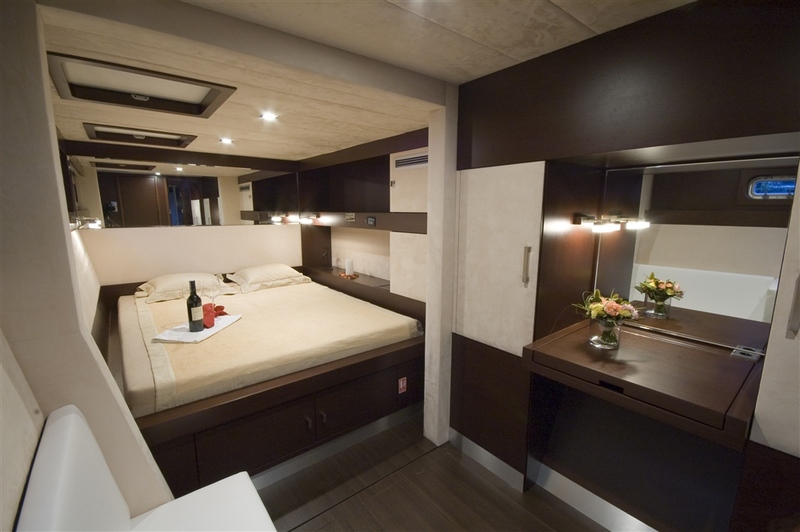 S/Y TURETE is a luxury charter yacht featuring enhanced performance capabilities, state of the art electronics, and a well-crafted layout that optimizes comfort at sea. 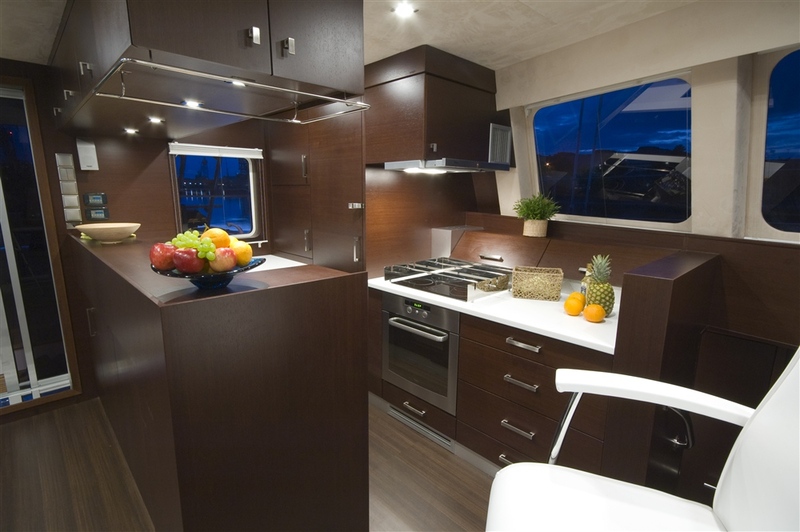 The TURETE catamaran is a superb example of minimalist design with eye-catching aesthetics that emphasize the beauty of clean lines. 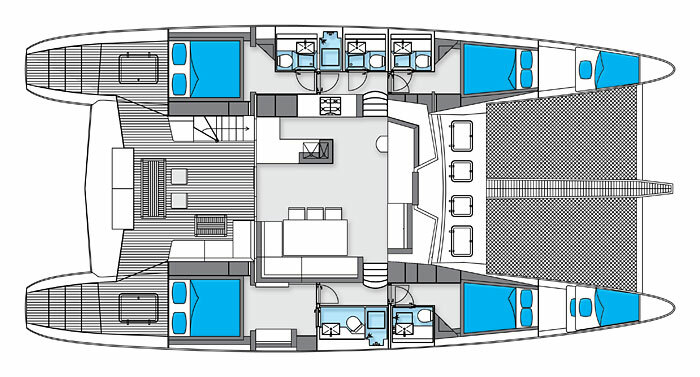 The Sunreef 62 cat TURETE is the ideal charter yacht for guests with refined tastes. She boasts chic styling inside and out and is based in the Balearic Islands, Spain during the summer and in the BVI’s during the winter. 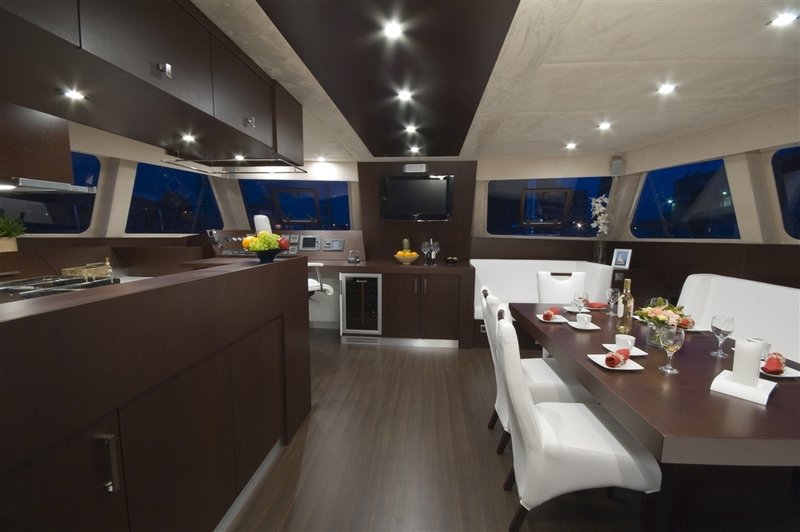 The charter yacht TURETE’s impeccable interior has modern décor and stunning designer accents, finished in dark wenge wood complemented by a sophisticated palate of creamy whites, tans, and beiges evoking an atmosphere of understated elegance. The salon is bright and airy offering an abundance of natural light flooding through spectacular panoramic windows. 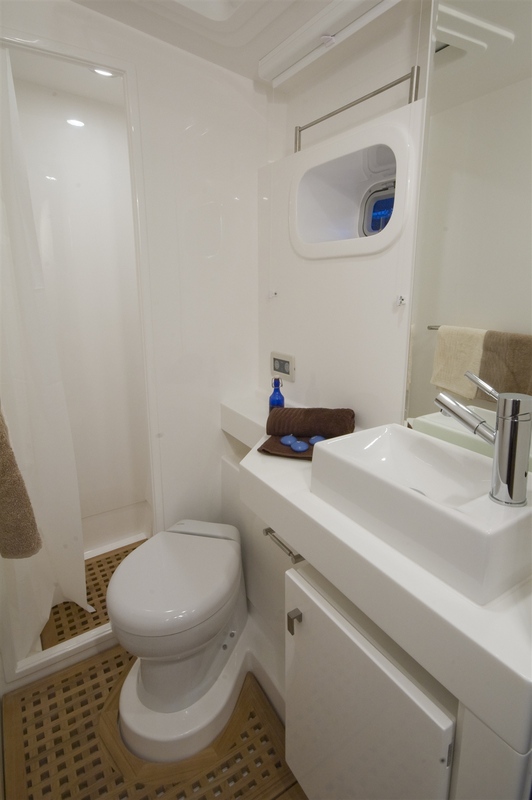 Sailing catamaran TURETE is able to accommodate up to 8 charter guests in 4 double staterooms. 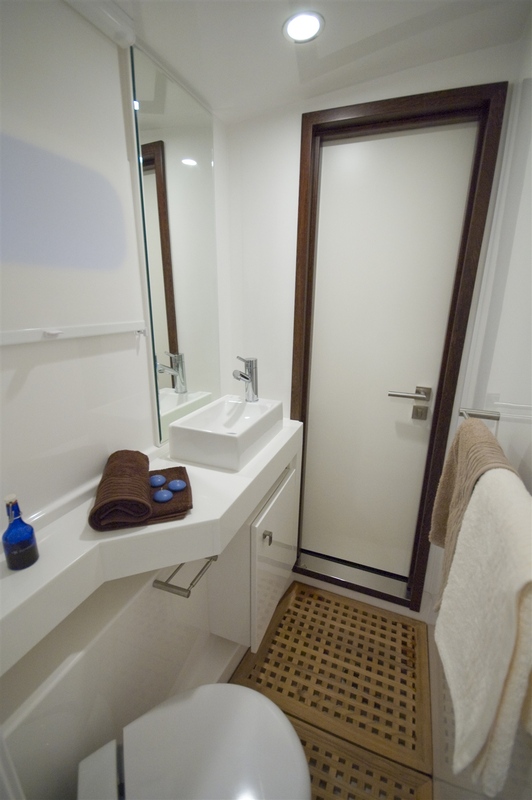 The TURETE sailing yacht also offers exceptional exterior areas. Her expansive deck space offers breath-taking views morning, noon, and night. 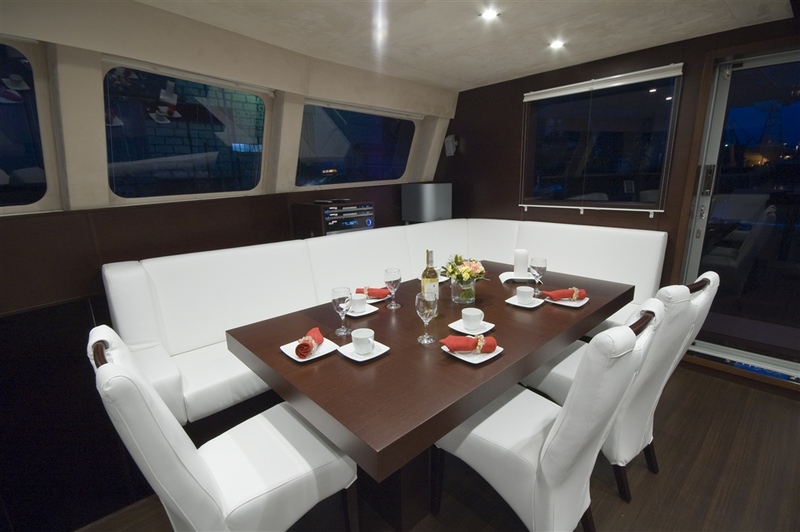 Charter guess are able to enjoy an idyllic sunset, dinner or cocktails aboard luxury charter catamaran TURETE from the aft deck or from up on the spacious flybridge. The foredeck offers a great place to relax on the trampolines in the sun. 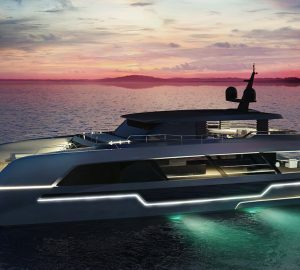 Equipped with snorkel gear, guests will be thrilled with the opportunity to dive explore the waters of the British Virgin Islands in the Caribbean or in the Spanish Balearic islands. 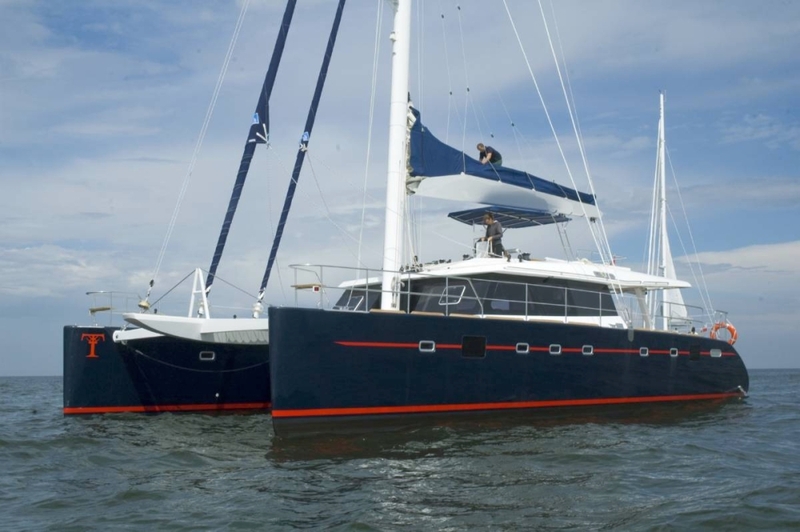 Sailing catamaran TURETE also has a great assortment of water toys for adventure lovers including a 40 HP dinghy, kayaks, a banana boat, and fishing gear. 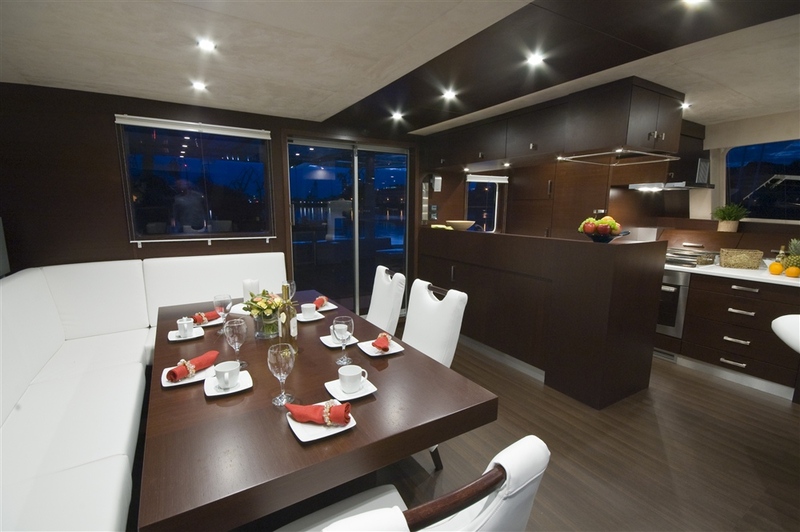 Charter yacht TURETE offers an indulgent experience where guests can enjoy unparalleled service, delicious cuisine, and be treated to the ultimate in pampering. 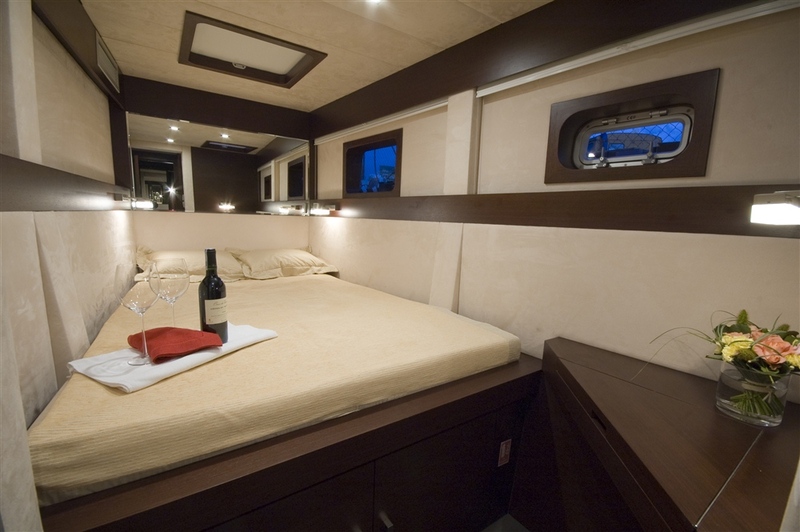 The TURETE catamaran is able to accommodate up to 8 charter guests in 4 double staterooms located below deck.